As the weather gets more autumnal and the wind scratches at the windows my thoughts are turning to Halloween. Halloween is my absolute favourite festival, so much better than Christmas with its 6 month build up, Halloween is just fun from start to finish. As a special ghoulish treat this week I have a guest blog from writer Paul Holbrook. His novel Domini Mortum is extremely close to being fully funded by crowdfunding publisher Unbound. I know how this works because my own book 15 Minutes has just been released by them. Paul is offering some great pledges in his crowdfunding campaign, not least one which should appeal to even the most fearless ghost hunters. Hello Paul tell us about your book? Domini Mortum is a novel set in late Victorian England, and set in London, York, and the village of Pluckley in Kent. It tells the story of a journalist called Samuel Weaver, who has travelled down to London from his native York to work as an artist and reporter for The Illustrated Police News (the preeminent tabloid of the day). Weaver is obsessed with a series of murders which occurred six years earlier in London and the man accused of the crimes, who died before he could be brought to justice. Weaver travels around London, and to Kent, to meet people who knew the accused, in the hope of writing a book about him. However, the more he finds out about the murders, the more he becomes embroiled himself with the people and organisations who have the most to lose by being exposed in the press. Meanwhile another set of murders has begun in London which hold a much darker and foreboding purpose. Domini Mortum is a tale of how single-minded obsession can lead to a person’s downfall, and how it is impossible to escape from the sins of your past. Once a heart is blackened by deeds, it can never recover. The book is currently the centre of a crowdfunding campaign by the publisher Unbound. The way it works is straight forward; each book has a cost in order to get it published. Lovely generous members of the public give their support to the book by pledging to buy it. Once enough people have pledged and the target amount is reached, the book is published and everyone who supported it gets a copy with their name inside on a list of people that made it happen. It’s a quite brilliant idea, to get books published that people actually are interested in and want to read, rather than books that a publisher thinks the public wants. Pledging is easy, all you have to do is visit www.unbound.co.uk/books/domini-mortum have a read of the synopsis, the excerpt, and then decide what pledge level you want to support the book at. Once you’ve decided, it’s just a case of clicking that button and entering order details. If you’ve pre-ordered a book from Unbound before, then you will have an account already. I’m so glad that I am publishing my book through Unbound, the quality of the authors on show on their website is extraordinary, and I find myself wanting to support quite a lot of books there. One of the pledges catches my eye in particular, the ghost walk. Can you tell us a bit about this pledge and what it entails? Ah, the ghost walk, yes. “What did they see in there?” I asked awaiting a terrible tale of murder, suffering and the afterlife. “See? See? I don’t know, Samuel. Did you not you hear me say that they never spoke of it?” He lowered his arm and paced away muttering under his breath. The ghost walk pledge came about because of a section in the book which is based in Pluckley in Kent, supposedly the most haunted village in Britain. In the book Samuel Weaver visits the village as part of his investigations, and ends up taking part in a drunken ghost walk with a local called Edward Higgins. The character of Edward Higgins, is named after a friend of mine, who I definitely had in mind while writing the story. Samuel and Higgins experience the full horror of the ghosts of Pluckley during their tour, which is both humorous and frightening. In writing the book I did an awful lot of research into Pluckley, watched countlesYouTube videos of ghost hunters visiting the various haunting sites, and read just about every word ever written about the village. For those lucky people that pledge for the ghost walk, they will get a copy of the book, with their name inside, as well as making their way to Pluckley where I will meet them, have dinner and a drink or two in the Black Horse (the pub which Samuel Weaver stays in) before heading out into the dreadful night air to experience such sights as The Devil’s Bush, The Screaming Woods, and St Nicholas church where the famous ‘Red Lady’ has been sighted, as well as many other spooky stops along the way. I will of course be inviting my friend Edward Higgins along, to make it all a bit more authentic to the book. It’s a very adventurous pledge, but one which I am really looking forward to fulfilling, it will certainly be a night to remember for those who take up the challenge. My resolution about blogging once a month hasn’t quite worked out. I just don’t seem to have the time and as a result I’ve got lots to tell. October was a pretty good month this year, of course I had a few rejection emails and failed to list in a couple of comps, but this is usual for me and mostly I don’t let it get to me. I did get a rejection from a big name journal that bothered me slightly but this was because I submitted to them nearly two years ago. What’s the point, seriously, after two years? I’d forgotten I’d even submitted so the rejection was a real ‘you think we’d be interested in you?’ slap in the face on a Monday morning. Submission managers – if it’s been over eighteen months, don’t bother with the reply. One story I am very proud of was over-looked and rejected by almost everyone I sent it to. The thing is I knew it was worth something because the two times I read it to an audience complete strangers came up to me and told me how good it was. It is a bit of a hybrid though, not quite literary fiction and not quite science fiction, so I can see how it might not appeal. I entered it into The Bristol Prize at the last minute when I read that they didn’t dismiss genre fiction and lo, I heard it had been short-listed in July! The prize giving was held at the Arnolfini in Bristol on Oct 19th. My Rattle Tales buddy Katherine Doggrell came with me and sixteen of the twenty short-listed authors were in attendance. It was a great evening and it was lovely to meet everyone. It reminded me of how supportive writers are of their fellow scribes. Gathered in the gorgeous gallery space with free flowing wine we all chatted about our stories and how to pull our Oscar face when the winner was announced. First prize went to Paul McMichael with The House On St John’s Avenue, and well-deserved it is too, the story is funny, moving and a little bit out there. After the event we all headed off for pizza and more chat in a local tavern. The Bristol Prize is brilliantly run by Joe Melia who realises that it is the writers and the stories that are important but other prizes take note, there was much talk in the room about how badly some prizes are run, the very least that is required is an email telling us that the long-list is up, I think we all know which ones we’re talking about here. I will post a review of the anthology when I have read all the stories. Another high-light of the evening was finally getting to meet Tania Hershman. 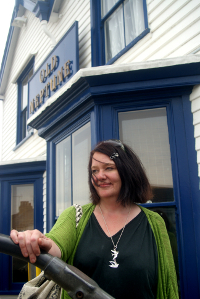 Tania is the editor of The Short Review and an award winning short story writer. When Starlings was released and couldn’t get a review for love nor money The Short Review stepped up and not only reviewed it but gave it the best review ever given to anything anywhere. In times of artistic crisis I read this review (written by author AJ Kirby) because it makes me realise that I can do this thing after all. I got to thank Tania personally and I hope our paths cross again. The other big event of October was the Autumn Rattle Tales show. We’d had a busy Summer what with Green Man and Brighton Digital Festivals and helping our very own Lonny Pop host The Small Wonder Slam at Charleston in September, and we almost forgot about our regular show so it was a bit of a rush to organise. In the end it turned out to be one of our best. To see why go to our brand new website (brilliantly refurbed by Alice Cuninghame) and read a review, there are many other brilliant features on site including a rather good guide to submitting which will help with submitting stories anywhere, not just to us. The show took place just before Halloween and I got to read the only real ghost story I have ever written, Footprints, which was written for What The Dicken’s Magazine. When I set about writing this story I wanted it to be traditional rather than graphic to rely on atmosphere rather than shocks. After I had read it a member of the audience (who is an experienced creative writing tutor) told me that it reminded her of MR James – she made my day! Autumn has arrived. Last week was all sweltering heat and last minute camping trips then the storms came and swept summer away in a flash. The sun is still shining but there’s a morning chill on the school run and I have plans to make blackberry jam! I love autumn; it’s my favourite time of year. My friend Sara Crowley (sara crowley.com) posted on Facebook that the first week in September is the start of a new year; it has a new pencil case smell. I have to agree and it also means it’s nearly Halloween, which is my favourite day of the year, but I’m getting ahead of myself. What did my summer bring? One thing I can tell you is that I only wrote 300 words in the whole season. All intentions of finishing my short story collection vanished in a haze of French sunshine and days on Brighton beach, followed by frantic preparations for my oldest starting secondary school. From Latitude Festival (which for me marks the start of summer) to September 4th I wrote practically nothing. But, aren’t writers supposed to write every day? Isn’t it a compulsion that can’t be denied? Obviously not for me. I have to admit I was quite surprised. I have written something (anything!) almost every day for a number of years. However, I didn’t start writing seriously until I was thirty-nine so I suppose I haven’t followed convention to begin with. To all those people who think you have to start when you are a tortured teen and build from there I say – Pah! (sticks tongue out and blows seasonal raspberry). It’s never too late to start; if you feel compelled just have a go. Granted, there is a lot of bad middle-aged writing out there but there’s a lot of terrible writing by people under thirty too. Good is good. And bad is bad. If you want to start writing in the autumn of your life there’s nothing to stop you, you could have fifty years of work ahead of you (think Diana Athill, Frank McCourt, Richard Adams hell, Bram Stoker was fifty when he wrote Dracula). Plus you have all those years of wisdom behind you to try and sense of it all. Autumn see, it’s a wonderful time. Anyway, after eight weeks away from writing I have been unstoppable. Inspired by my son starting big school I started on a short story based on dramatic events at my secondary school in the 1980s. I have written 10,000 words in five days. 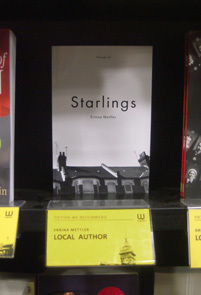 This short story is no such thing, it is a novel, the novel I have been looking for since Starlings flew from my imagination in a little under nine months. I have characters and plots and a beginning, middle and end and no dirty great road block saying stop. There’s so much happening elsewhere this autumn too. Brighton Digital Festival is underway. The spoken word group I’m involved with, Rattle Tales, joined in by putting on a show of global consequences. Unfortunately, I couldn’t attend but it sounded amazing. Members of Rattle Tales, the audience at The Latest Music Bar and writers on Skype created a story live from a skeleton of pre-prepared words, themes and actions. There was a lot of shouting and then there was a story! The results will be posted on the Rattle Tales website later this week. Well done to Alice Cunninghame who organised and led the event. On September 27th, Rattle Tales is helping out with the Short Story Slam at the Small Wonder Festival in Charleston. One of our founders, Lonny Pop, is hosting and members of the group with be setting the tone by reading three-minute shorts on the theme The Shovel. Believe me you want to go to this one if you can. Lonny is a brilliant host; her motto is ‘never yawn!’ There will be no chance of that , when Rattle Tales have finished it’s over to the audience; names pulled from a hat and then three minutes to delight the judges and the chance to win £100. Click here for tickets. There will be another Rattle Tales show next month, keep checking the website for details www.rattletales.org. 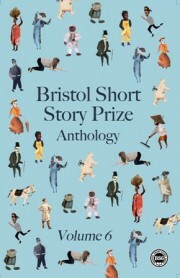 The thing I’m looking forward to most in the next few weeks is The Bristol Short Story Prize on Oct 19th. I am utterly thrilled to have made the short-list this year. All year, what I have considered to be my best work, has been rejected by EVERYONE, not even a sniff, no long-lists, no publications, barely even a reply until the Bristol long-list was published in July and my story What Me & Pa Saw In The Meadow was on it! 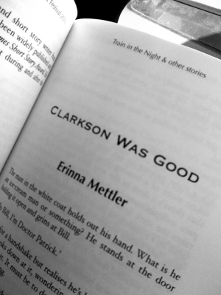 Then came the email telling me I was short-listed and would be included in the anthology. I have several Bristol Prize anthologies and I think the standard and originality of the stories is incredible so I am awed to be included. I am really glad that someone enjoyed reading my story as much as I enjoyed writing it. You will be able to buy a copy on their website. 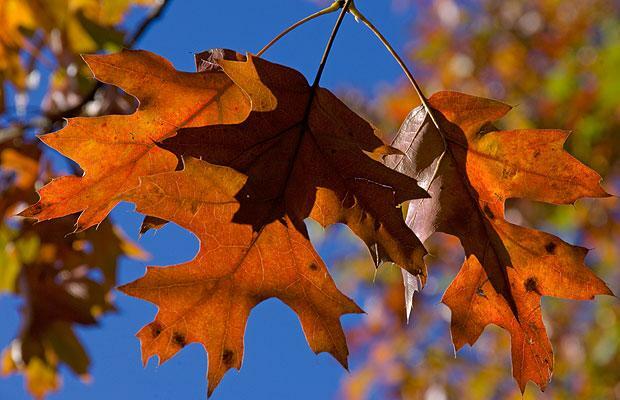 I leave you with a link to Ode to Autumn by Keats because it’s lovely. I was trying to find a version brilliantly read by a woman (because I’m sure there are some out there and you rarely get to hear one) but I want to get back to my writing and, in my humble opinion, Ben Wishaw reads it as well as it can be read.